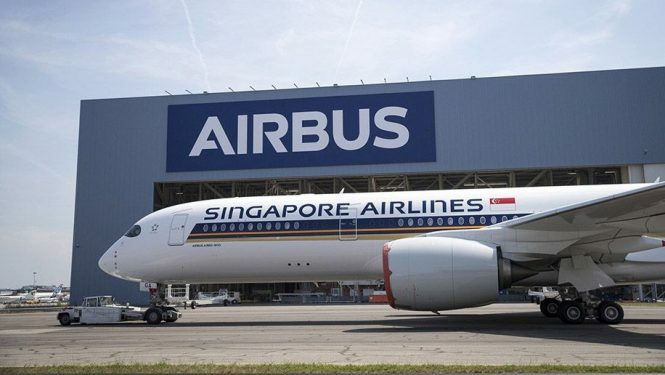 Fresh out of Airbus’ paint shop, the ultra long range aircraft will serve the world’s longest commercial flight between Singapore and New York in October. 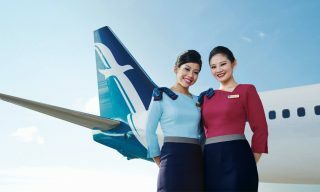 Thrilled about experiencing the world’s longest commercial flight between Singapore and New York (Newark) that’s set to launch on October 11? Here’s a look at the aircraft that will make this a possibility. 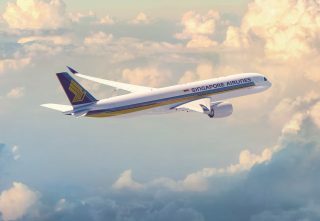 The first out of Singapore Airline’s seven Airbus A350-900ULR (ultra long range) aircraft on order has been unveiled ahead of its expected delivery to the carrier this September. 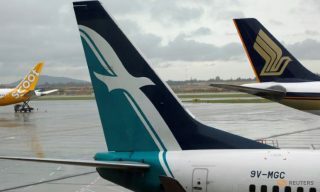 The extended-range variant of Airbus’ current A350-900 model is capable of flying up to 9,700 nautical miles for a duration of more than 20 hours, allowing the Singaporean airline to launch a number of nonstop routes to the U.S. 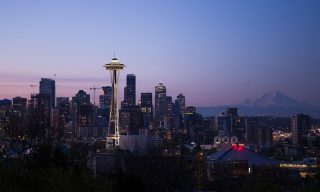 These include the 19-hour flight between Singapore and New York (Newark), as well as upcoming nonstop flights between Singapore and Los Angeles in November. 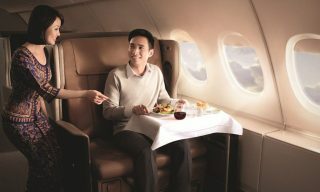 The most notable feature about Singapore Airline’s latest addition to its fleet is that its 161 seats are offered in only two classes, business and premium economy. 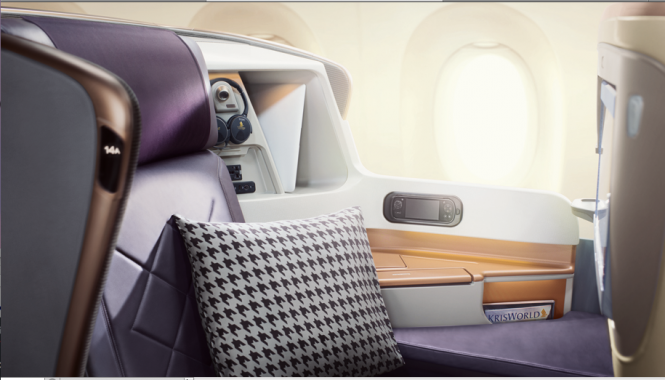 Those who’ve enjoyed the carrier’s new A380 business-class seat products will be happy to learn that the A350-900ULR comes with the same seat, 67 in total. 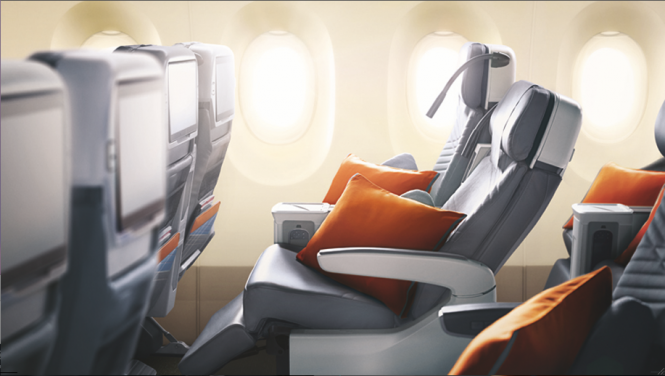 While they are slightly less roomy than the current A350-900 seats, there is more storage space. 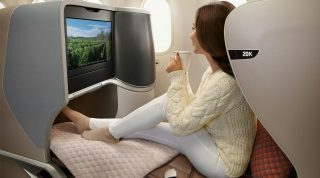 On the other hand, the 94 premium economy seats will feature the same product as is currently available on both the A350-900 and the new A380s. Currently, Singapore Airlines is among the largest operators of the A350, with a total of 21 A350-900s already in its fleet.